Clean CARFAX. Silver 2006 Ford Explorer XLT 4WD 5-Speed Automatic 4.0L V6 12V 4WD, 4-Wheel Disc Brakes, ABS brakes, Air Conditioning, Dual front impact airbags, Dual front side impact airbags, Electronic Stability Control, Front anti-roll bar, Front fog lights, Low tire pressure warning, Occupant sensing airbag, Panic alarm, Power driver seat, Power steering, Power windows, Rear anti-roll bar, Remote keyless entry, Speed control. 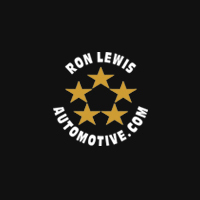 Note: The Ron Lewis Automotive Group's 100,000 Mile Certified Limited Warranty offered on eligible used vehicle inventory provides power-train coverage up to a total of 100,000 miles on the vehicle's odometer. This warranty covers engine and transmission repairs, all internally lubricated parts contained within the transfer case and drive axle repairs. All repairs and maintenance are to be completed at any Ron Lewis Automotive Group location. See www.ronlewisautomotive.com or contact any Ron Lewis Automotive Group location for details. We Love Our Internet Customers! Print this Listing and Present to MIKE MONROE -- Waynesburg Dodge Chrysler Jeep's Internet Sales Manager to Receive $100 SAVINGS any New or Used Vehicle! Summit White 2005 GMC Yukon SLE 4WD 4-Speed Automatic with Overdrive Vortec 5.3L V8 SFI 4WD. BRAND NEW INSPECTION! !, Quick Order Package 25K. CARFAX One-Owner. Clean CARFAX. Bright Silver Metallic 2009 Dodge Grand Caravan SXT FWD 6-Speed Automatic 3.8L V6 OHV Odometer is 12798 miles below market average!